So 7 weeks have passed since my last training update about my journey to the World Age Group Triathlon Championships (which are in 7 weeks time!!). 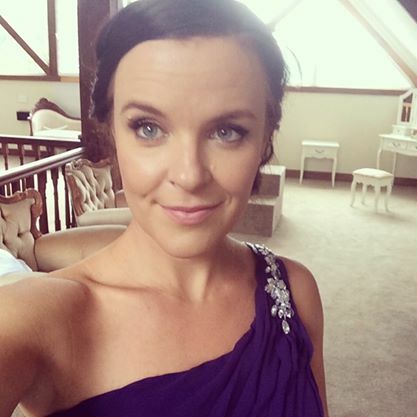 The last 7 weeks have been less that perfect (and definitely not as planned) – this is particularly true of the last 2-3 weeks during which very minimal training has been done thanks to a combination of injury, bridesmaid commitments and then finally a bout of tonsilitis this week. 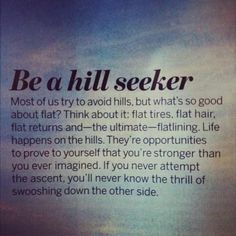 Maybe this is exactly what I needed as I’m now dying to get back out there and give it my all for the next 7 weeks (over 2 of which will be in Canada before the race!). As the race approaches, I’m approaching peak levels of both excitement and nervousness. I’m feeling so excited to see Canada, to race in another and to represent our great country (the last part I’m still struggling to come to terms with!) and then the more I think about it the more nervous I get- will I be ready? will I come last? what should I expect? So what have I been up to over the last 7 weeks- I will try and remember as much as possible! 5mins/4min/3min/2min/1min/2min/3min/4min/5min race pace efforts with 1 min recovery. Sunday 33/29 minute negative split – 11.58kms. 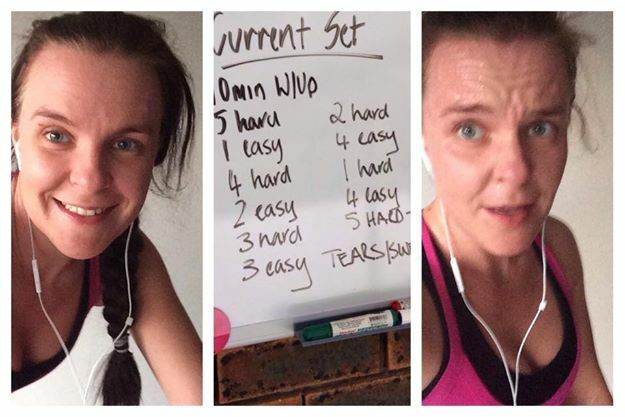 This was my first planned negative split run and I reallly struggled to keep at an easy pace for the first 33 minutes so that I could make it back in the planned time (I think from memory the aim was 33/27…as you can see- that didn’t happen!) But it was a great idea and made me really focus on my pace and maintaining an effort I could sustain and increase from. Monday I was so proud of making it too the pool for a swim this day! I had forgotten my towel, which after a long day at work when I really didn’t feel like swimming would have usually been the perfect excuse not to go! But I didn’t let that excuse fly and I got in and did the following set. The day before the Hen’s party (which preparations for kept me VERY busy all week) I was staying in the city and couldn’t resist the opportunity for a quick little run along the river! It was such a beautiful evening! Saturday- Pole Dancing and then dancing the night away….that counts right!? Today was my best friends Hen’s party and to be honest there was way too much food and champagne consumed …the pole dancing and dancing the night away wouldn’t have even come close to burning off those calories. When we got home we collapsed and decided we were far to old for those kind of festivities! After a protracted recovery from the Hen’s party (I have definitely lost my drinking and staying up late fitness!) it was time to get back into it with a fartlek session. 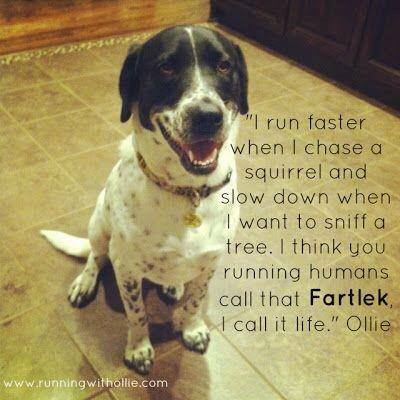 It was the first time I had ever done a fartlek session and it was pretty fun! Thursday 13km of hill climbing on bike in morning. Then 5.5km Ladder Run that afternoon. A public holiday meant I could fit in a long run on a non weekend day! Win! 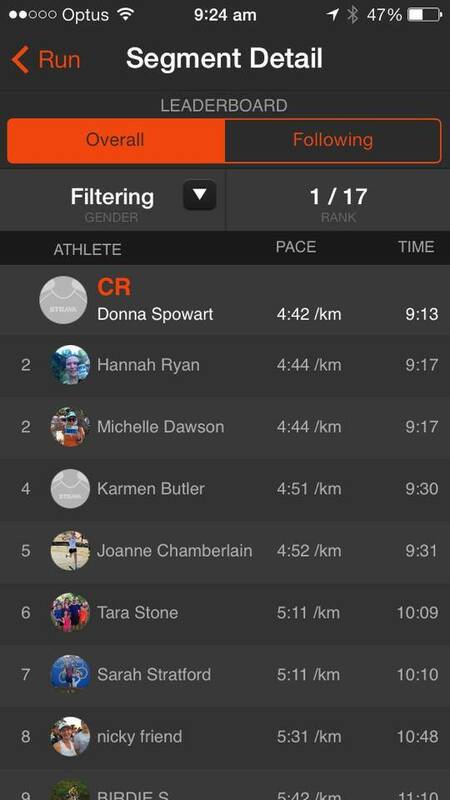 Ended up doing my 10km around my home- which meant plenty of hills (and a slower time!). Then as I thought I was done for the day- I was challenged to a spin bike set by fellow triathletes Hannah and Tania (also on their journey2edmonton. 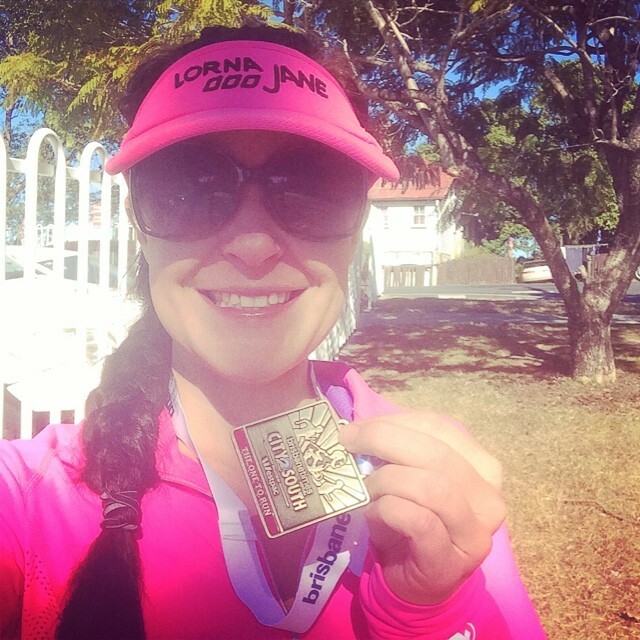 These ladies have a fantastic FB page Midlife Crisis Triathlon Mums – Check it out! This set HURT!! 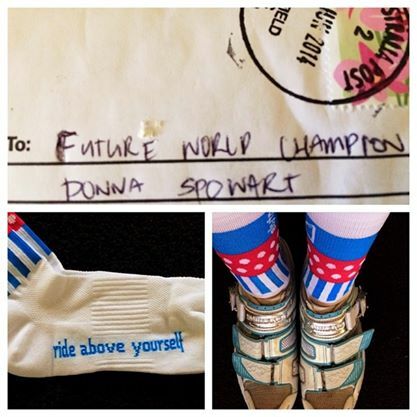 Another Thursday off started with a huge boost of inspiration after finding this package in my letterbox- which gave me just the motivation I needed for a very hilly 20km ride! Then in the afternoon I smashed out the following set on the treadmill at the gym. The PT at the gym even came over to ask what I was training for as I was apparently ‘smashing it’! It was time to PB at City2South on Sunday. This run started for the first time last year, when I did the course in 1:24:48. 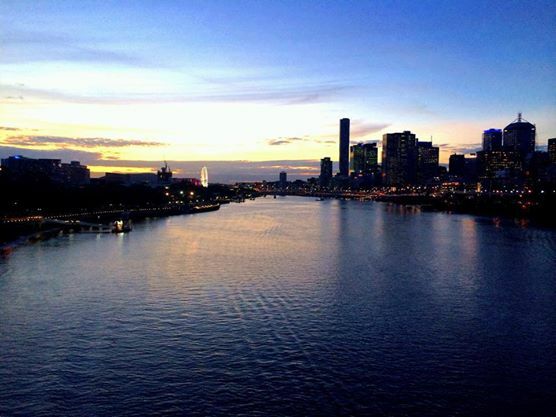 It was a gorgeous Brisbane morning but unfortunately I paid the price for my weights session on Friday- seriou hamstring cramping with the uphills! Still took an almost 9 minutes off my time with an official time of 1:15:53! Stoked and can’t wait to see how I go next year without the cramping! 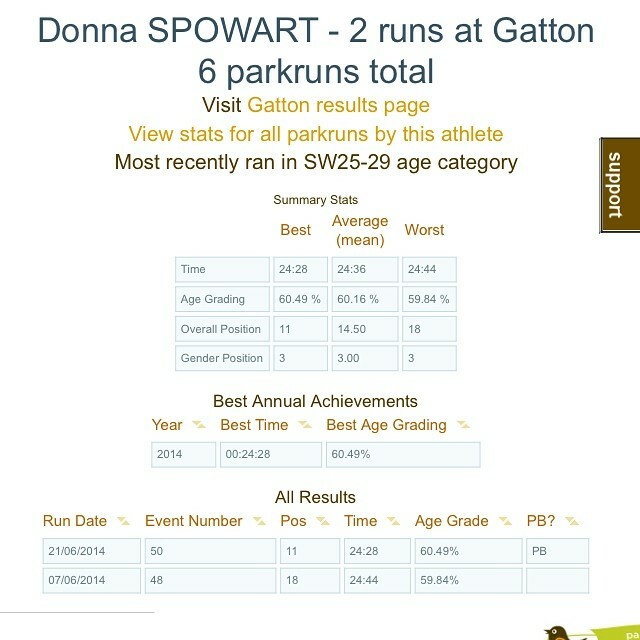 16 seconds off my 5km PB this morning at Gatton parkrun! Stoked with my time. 24:28- 11th overall, 3rd female and first in my age group. Was in about 6th place until a group of boys gained on me on the last lap – damn boys and their competitive streaks! This morning I headed down to the gorgeous Sandgate foreshore for a solo reverse brick session followed by breakfast with my mum. Started out with a 10km run – during which I had serious issues with shin spints particularly around the 5km mark. Then headed off on a 40km ride to scarborough and back. Such a gorgeous part of the city and a perfect place to train! This was a busy week for me in the lead up to my best friends wedding- and as such very little training was done. Got out of work on time today so used the few hrs before I start my on call shift wisely- I went swimming. 2.5km down when I really wasn’t feeling it. Rest of the week was taken up with wedding preparation. I think I squeezed in some upper body work but apart from that very little was done in the way of training between a busy week at work and appointments for tan, hair, nails etc. And so the training just continued downhill from the wedding. 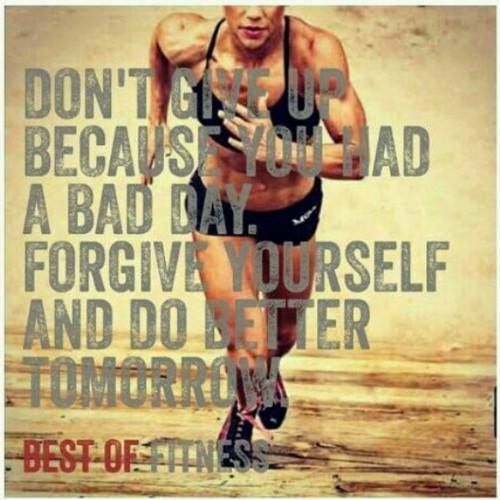 After a week of minimal training, a weekend of bad food… I had lost my mojo! I know I squeezed at least one swim in this week (2.5kms on Monday) and a spin bike set in on the Thursday. But apart from that very little was done. I then woke up on the Sunday with a head cold and non stop sneezing which meant my planned brick session at Sandgate foreshore didn’t happen. I did try a 5km run along the river on Sunday afternoon after lunch…which lets just say was a bad idea according to my GI system. Then comes last week where hoping I was over the head cold I had great plans for a week of hard training. I worked Tuesday night and had my gym stuff packed to squeeze in a session- unfortuantely during my very busy shift I realised this head cold was maybe a little more than that and I had tonsilitis and NO ENERGY! So the rest of this week has been spend in bed recouperating…and this morning I’m finally starting to feel a little better. Tonsils have settled. Energy levels are returning. Just need to get rid of this sniffle in the hope I can conquer the 10km loop of Mt Cootha tomorrow with Sky Run. Onwards and Upwards from here!